It’s no secret that Canadian tech companies are competing for the best and brightest talent to drive innovation. Here in the Kanata North tech hub, where 75% of tech companies have fewer than 50 employees, it can be daunting for growing tech startups to compete with the perks offered by larger players. However, it’s becoming increasingly clear that small companies can have a big impact: with corporate culture. We know that corporate culture has become the number one tool to attract and retain talent. By taking a thoughtful approach to corporate culture, tech players of any size can attract and retain talent. Building and maintaining a positive culture has always been important at Martello. From our hiring and onboarding practices to social activities and the way we communicate, we’re deliberate in the way we nurture the culture that our team members can count on. Last year, we decided to build on one of the elements that had become key to our culture: giving back to the community. The Employee-Directed Gift Program, launched in 2016, was the result of Martello CEO Bruce Linton’s vision and garnered Bruce a Telfer Private Sector Leadership in Advanced Technology award last evening from the Canadian Advanced Technology Alliance (CATA). The award recognized Bruce’s leadership in building a positive corporate culture, with the Employee-Directed Gift Program at the heart of our culture. “I’m proud to work for a company willing to contribute to a community activity like that. I find that people are generally surprised and impressed that a small company would have this type of program, as well”. “To me, the gift program is the sign of a maturing company that sees its role in the larger community context. As an employee, I like the fact that we are healthy as a company but also not greedy and willing to give back”. 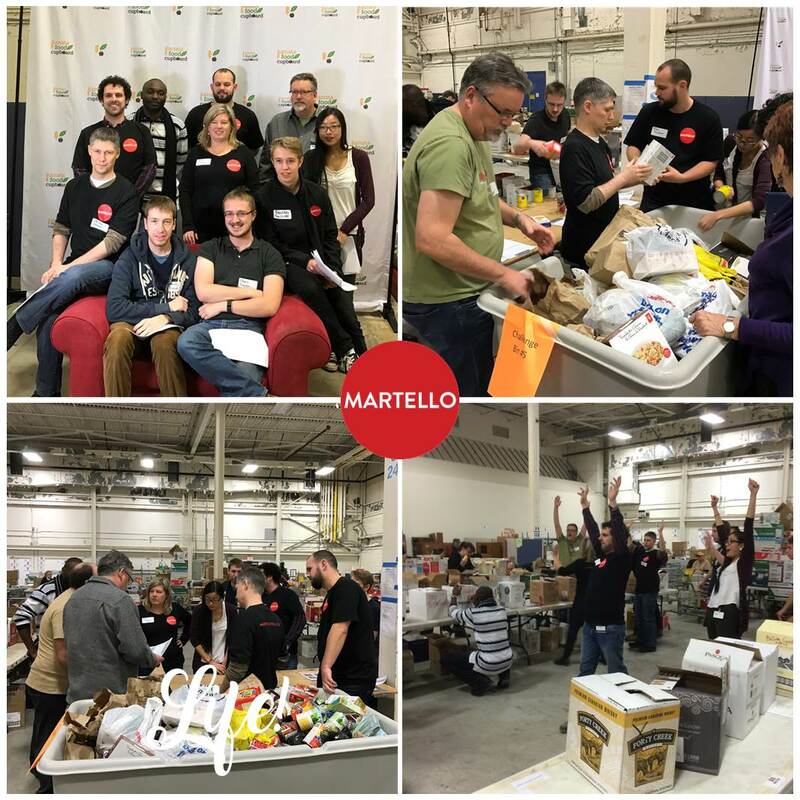 “There are many companies with charitable giving programs and many companies that ask employees to contribute time or money to charitable events; however, Martello is the only company I know that asks its employees what matters to them and then backs them in making the world a better place. I think a core value at Martello is simply “people being nice to each other,” and the program helps to nurtures this”. We’ve coined the term ‘Ripple Effect’ to describe the impact this program has, both in our community and within Martello’s walls. Not only have we strengthened our corporate culture, we’re affecting real change in the community. In just 9 months, we’ve supported a dozen organizations in activities ranging from building a school in the Dominican Republic to providing real-time captioning at cochlear implant support group meetings. We’re collectively proud of these achievements and committed to seeing the ripples expand and sweep out into the community. Every company will take a different approach to nurturing its unique culture, and Martello’s Employee-Directed Gift Program is just one tangible example of how taking an innovative approach to culture can bring teams together. We’re proud that this model can not only help bolster our culture, but also has a lasting impact on our community.